A superb opportunity to acquire a tastefully extended family home with light and spacious accommodation. Situated in highly sought after location, close to good schools, amenities and transport links. 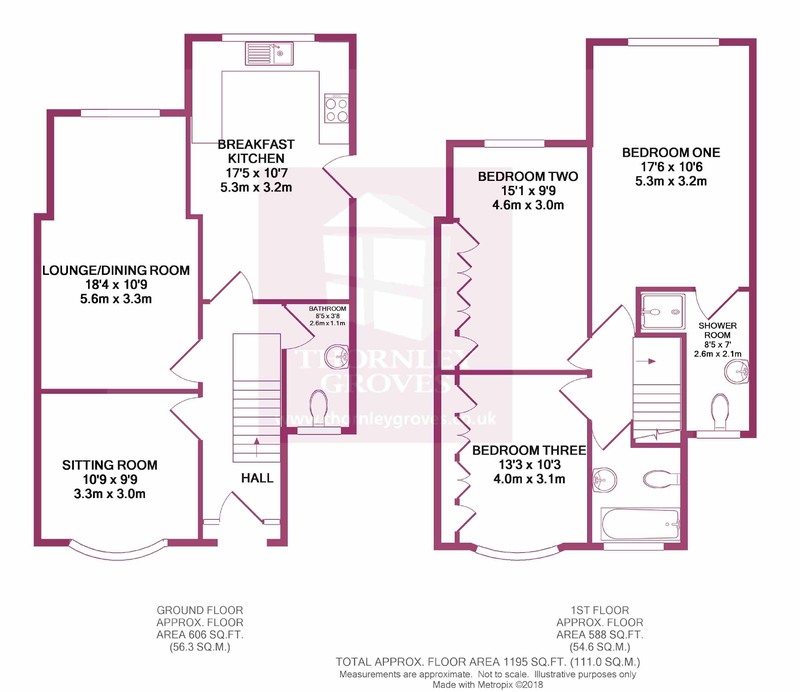 Entrance hall with downstairs W.C, two good size reception rooms, large breakfast kitchen, master bedroom with en suite shower room, two further double bedrooms and a family bathroom. Externally, there is a gated driveway to the front of the property and to the rear, there is flagged patio seating area which leads onto a large lawn garden with a garage and an additional outbuilding. Offered for sale with no onward chain.